November 2018: In the Edmonton Census Metropolitan Area (CMA), the all residential unit sales decreased 9.78% month over month and decreased 10.56% year over year. Single family home unit sales are down 9.22% compared to October 2018 and down 5.66% relative to November 2017. Condominium unit sales decreased 15.86% month over month and 19.5% year over year. Month over month duplex/rowhouse unit sales increased 14.14%, and decreased 6.61% year over year. Month over month declines are typical in late Fall. New listings and active inventory are down compared to October 2018. 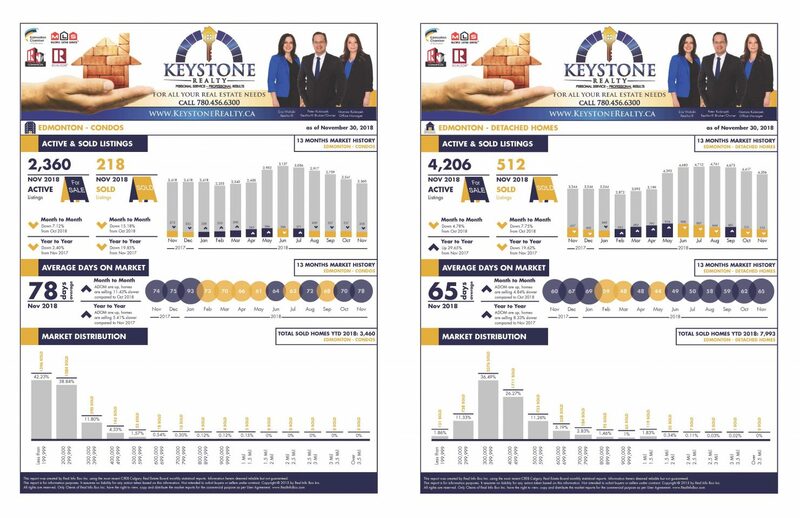 Listings decreased 15.38% and inventory decreased 2.00% month over month. When compared to November 2017, both categories were up. 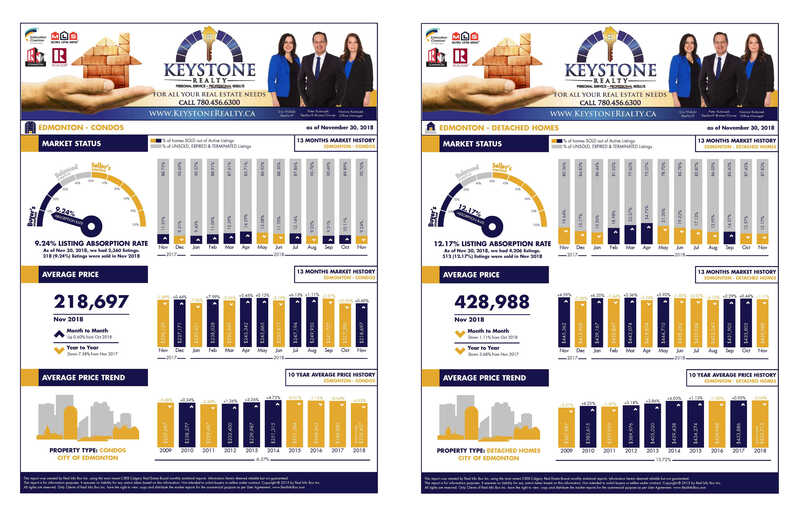 New listings increased 9.97% and inventory increased 9.86% year over year. Average prices declined in the month of November. The average selling price of a single family home is $421,715, a decrease of 0.97% month over month and a decrease of 4.55% year over year. Condominium average prices also decreased 1.29% month over month and 6.07% year over year. Duplex/rowhouses average prices increased 4.11% compared to October 2018, and decreased 3.36% relative to November 2017. The average days on market for single family homes increased to 66 days, increasing by four days compared to October 2018 and seven days compared to November 2017. Condominiums sold on average in 80 days, eight days longer compared to October 2018 and four days longer relative to November 2017. Average days on market for duplex/rowhouses increased to 71, growing from 66 in October 2018 and 59 days in November 2017.